Boxplots are a measure of how well distributed is the data. 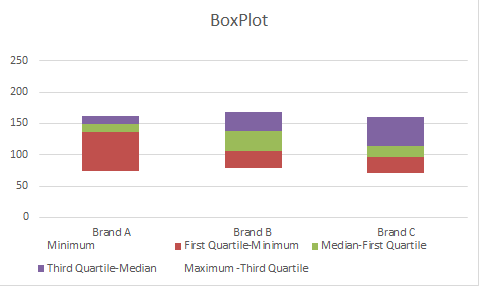 Boxplot is a convenient way of graphically depicting groups of numerical data through their quartiles. 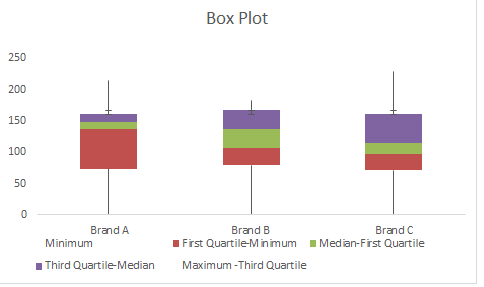 Box plot represents the minimum, maximum, median, first quartile and third quartile in the data set. 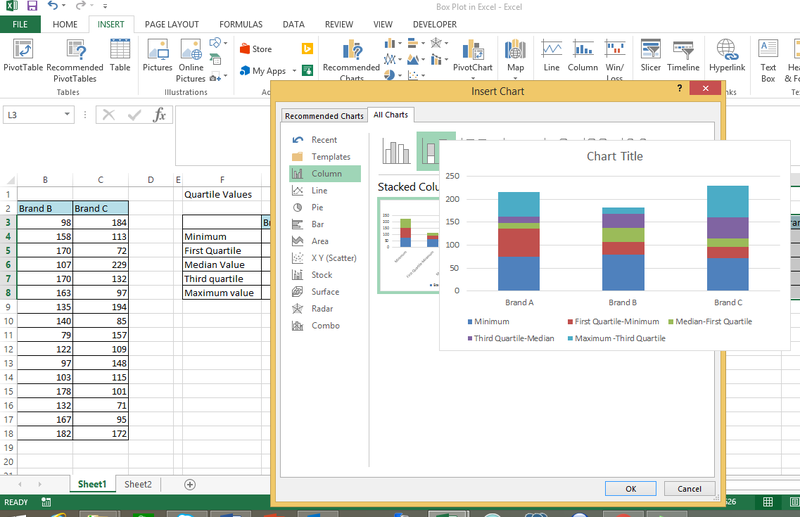 Lets see how to plot the Excel Boxplot in this chapter . Difference between Maximum & Third Quartile. 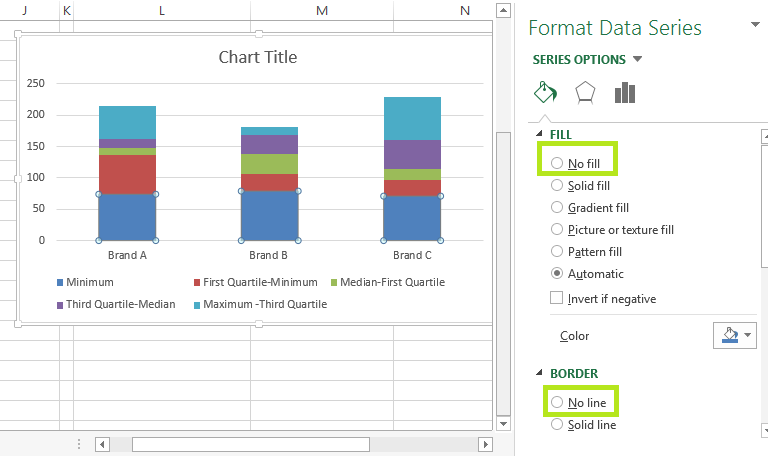 Excel Boxplot Step 4: Convert the stacked column chart to the box plot. There you go!! 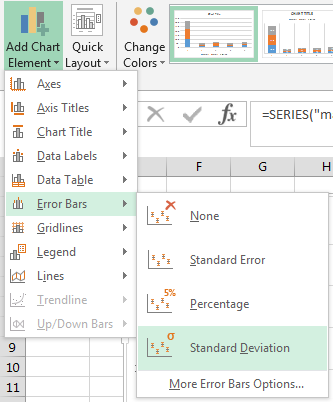 successfully created an Excel Boxplot (Excel Box and Whiskers Chart) ! !